Relocating to another home is considered by far one of the most stress-inducing life experiences. Moving with pets surely doesn’t make it simpler, quite the opposite. Changing the surroundings affects your little furry companion profoundly. A great deal of Americans considers their pets equal family members. If you’re among them, then surely you’re aware of your responsibility. You need to do your best to avoid any hassle for your dog or cat. You should also make sure they acclimate as soon as possible. It’s no wonder the experts say you should treat them with extra care as if they were your children. So what is it exactly that you can do in order to help out your little buddy? Keep calm. – your mood will definitely reflect on your little fellow. Dogs and cats are extremely intuitive creatures. However, this is a precious piece of advice no matter what pet you have. Hire a professional moving company. – this is a recommended precaution measure that will certainly make your pet feel less stressed out. At the same time, you will keep the moving process under control. Moving with pets is a daunting experience as it is, which is why leaving the removal of your belongings to a professional can greatly diminish stress levels of all family members. Have your pet stay someplace else. – the dreaded moving day has arrived. All that commotion, unfamiliar noises, and faces can make your pet feel uncomfortable. Consider taking them to an animal daycare or board them with a vet. Pets react strongly to moving home. 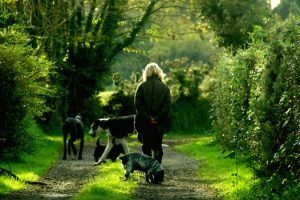 Besides the general recommendations given above, there is a variety of pet specific tasks you should carry out in order to avoid any unexpected occurrences. Don’t forget to contact your vet! For those of you leaving the neighborhood, make sure you take all prescription medications and records with you. Also, it would be best to ask your veterinarian if they can recommend a reputable colleague of theirs in your new area. Once you’ve completed the relocation process, be sure to change the info on your pet’s tag or microchip by adding the new address and phone number. 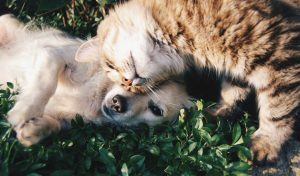 If you want your pet to settle in serenely, don’t forget to make the new place safe for them. That means tucking away all the electrical cords, putting away poisonous houseplants, if there are such; and also check if windows have secure screens. Free your home from any obstructions that could pose danger to your pet. 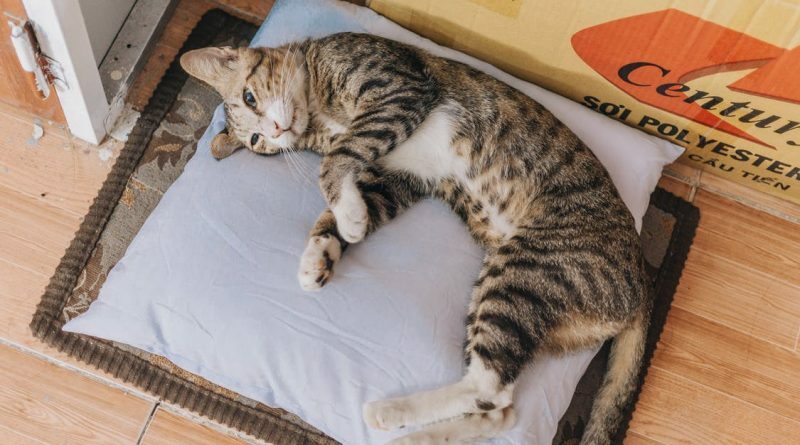 Instead of buying your pet a new litter box or a food dish, we encourage you to keep that old stuff, because it will make them feel more at home. Whether it’s a snuggly blanket or a favorite chew toy, don’t throw it away. Also, it is advisable to place the food dish just the way your pet is used to: by the back door, in the kitchen, near the fridge. Animals can also have car motion sickness. Moving your pet by car. First things first. If your pet isn’t used to car motion, see if you can take them on short trips so that you can avoid risks of feeling car sick. A vet can be very helpful as well, as they can provide info on animal tranquilizers and whether you should reach out to them. What it’s important is to create a plan and buy everything you might need like supplies, first-aid kits, carriers and such. Don’t forget to include collapsible dishes, some food, and treats as well as toys your pet loves. By making a list, you will be sure everything is in order. Hence you will attend to your pet’s need. Moving your pet by airplane. If you’re moving to another town or upstate, it’s likely you chose to move your pet by airplane. But before you’re headed to the airport, you should familiarize yourself with rules and regulations. This is not just about purchasing a carrier and transporting your pet. You have to make a reservation on time. You will have to gather the information relative to transportation charges and also pet insurance. Bear in mind you shouldn’t give food to your pet five or six hours before the flight, but a bit of water couple of hours before is alright. The procedure may appear a bit complicated, but it’s the best solution for remote relocations. Let’s see how specific animals react to these kinds of changes. And how should respond to these reactions and ease the process of moving with pets? Take a walk with your dog as soon as possible. # Dogs → dogs tend to absorb the mood of their human friends, so if you’re extremely anxious, chances are your little hairy fellow will be as well. That’s why it’s of utmost importance that you walk your dog around the new neighborhood as soon as possible. Also, refrain from changing your dog’s feeding and walking routine. # Cats → unlike their canine counterparts, cats tend to close up and feel intimated, maybe even overly timid. Until he or she is accustomed to the new surrounding, it would be best not to let them go outside. That way you will prevent them from running away. Make sure your cat has all those little things they cherish. And of course, spend as much time as you can with your pet. # Fish, guinea pigs, birds → all animals are prone to anxiety when it comes to moving. It’s what they have in common. You need to transport them with extra precaution. For example, keep the old tank water if you’re moving your fish a short distance. Guinea pigs have delicate hearts, so make sure you keep the carrier very warm and comfortable. Birds need an adequate temperature, so keep in mind that once you arrive in your new home. Hopefully, you have found some useful advice reading these lines. Although it is a bit stressful, moving doesn’t last long. We wish you happy moving and hope your pet(s) won’t suffer along the way and will enjoy the new neighborhood and the new place.